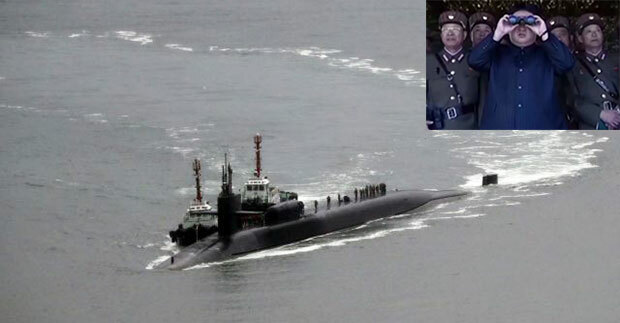 North Korea has issued a fresh threat to sink the US Navy's nuclear-powered submarine which is currently stationed in the Korean peninsula waters. Pyongyang said the vessel would be turned into an "underwater ghost". USS Michigan, armed with cruise missiles, arrived at the South Korean port of Busan on 25 April to take part in "routine" exercises. 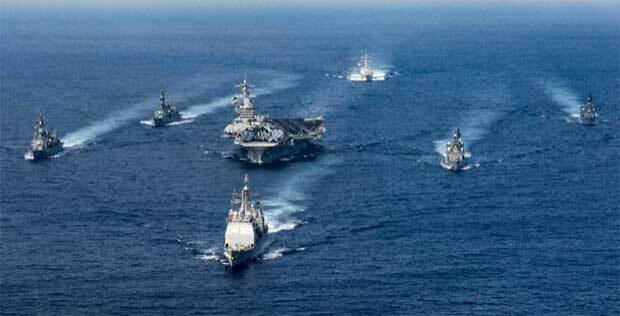 The Ohio-class submarine is being joined by a large fleet of the US Navy's warships led by the supercarrier USS Carl Vinson, raising the tensions on the volatile Korean peninsula. A statement from Pyongyang's propaganda website Uriminzokkiri said: "The moment the USS Michigan tries to budge even a little, it will be doomed to face the miserable fate of becoming an underwater ghost without being able to come to the surface." This is not the first time North Korea has issued a threat against US and South Korean forces positioned within its striking range. According to the statement, the presence of the nuclear submarine in the waters off the Korean peninsula "timed to coincide with the deployment of the super aircraft carrier strike group, is intended to further intensify military threats toward our republic". 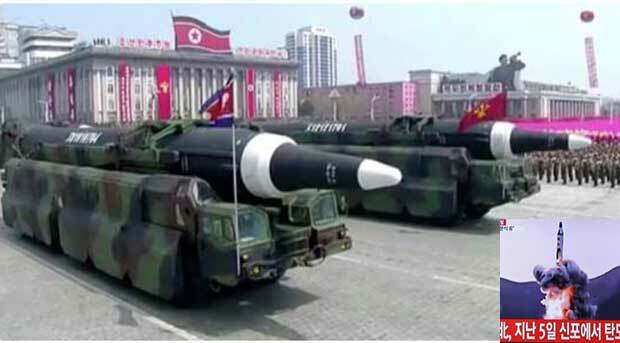 Just a day after North Korea unsuccessfully test-fired a ballistic missile, Pyongyang said: "Whether it's a nuclear aircraft carrier or a nuclear submarine, they will be turned into a mass of scrap metal in front of our invincible military power centred on the self-defence nuclear deterrence". 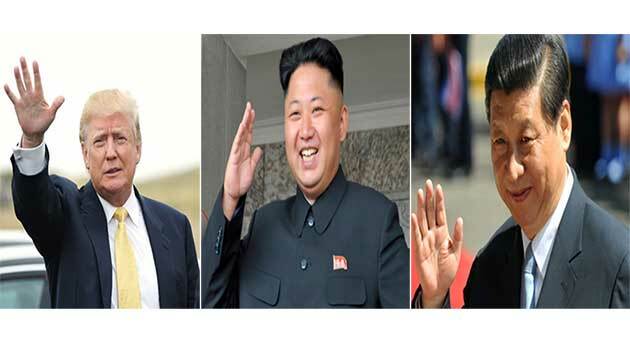 The divided peninsula is witnessing a flurry of activity amid a sharp escalation in the war of words in recent months. 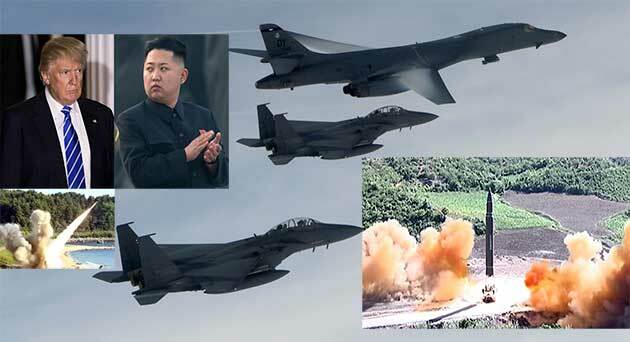 With a defiant North Korea test-firing missiles the US and its allies have warned that they would not hesitate to opt for a military strike if necessary. Even as the USS Michigan arrived in the South Korean port, the North conducted a large-scale live-fire drill which saw the use of 300 to 400 long-range artillery pieces.